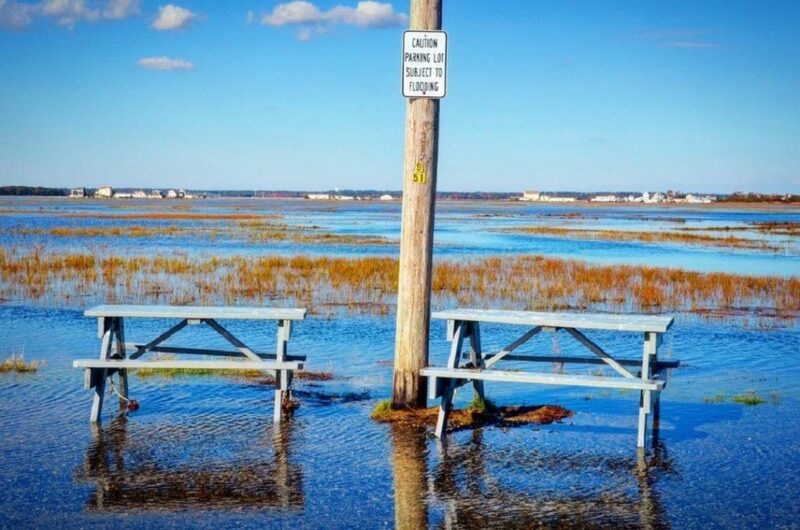 Portsmouth, NH – The New Hampshire Department of Environmental Services (NHDES) Coastal Program is excited to launch four projects to promote flood hazard preparedness and resilience in New Hampshire communities along the Atlantic Coast and Great Bay estuary. The projects, funded through the NHDES Coastal Program’s Design Solutions for Coastal Resilience grant opportunity, provide $195,728 for six coastal communities to conduct innovative assessment, design, and outreach work in areas facing coastal flooding risks and ongoing erosion problems. 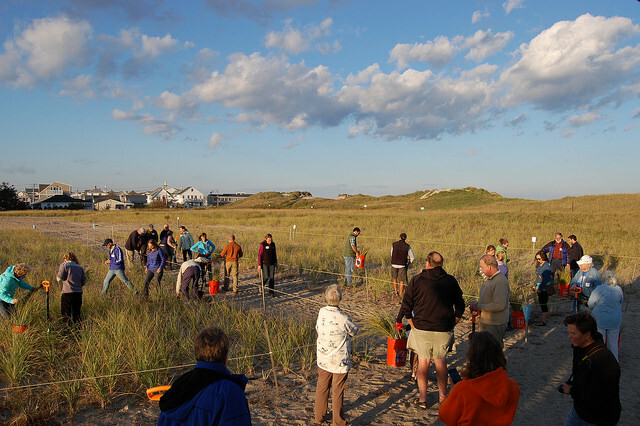 In an effort to improve dune management, the University of New Hampshire Cooperative Extension and NH Sea Grant will partner with the Department of Resources and Economic Development and the towns of Hampton and Seabrook to carry out a second phase of work to restore degraded dune areas. 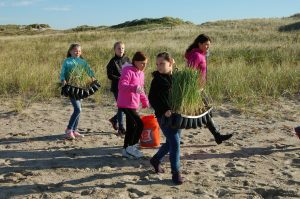 The project will promote a dune grass Community Garden for homeowners located at Hampton Beach State Park and design new strategies to minimize dune impacts in the remnant New Hampshire dune systems that provide habitat and storm protection. The Town of North Hampton will assess drainage issues at the flood-prone area where Philbrick Pond salt marsh sits adjacent to Route 1A. 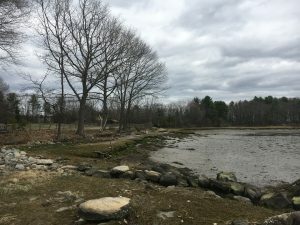 The Town of Durham will work with the University of New Hampshire to analyze erosion issues at Wagon Hill Farm and design a “living shoreline” shoreline protection solution. The Wagon Hill Farm living shoreline will allow salt marsh habitat to migrate as sea levels rise. If constructed, the project will serve as a demonstration for others interested in implementing nature-based shoreline protection approaches. The Rockingham Planning Commission will work with the City of Portsmouth and the towns of Rye, Hampton, and Seabrook to implement high water mark installations depicting historical and possible future flood elevations. In addition to the funds provided by the NHDES Coastal Program, grantees committed nearly $75,000 in matching funds to ensure the projects are successful. We received eleven highly competitive proposals in response to the 2016 Design Solutions Request for Proposals, which is a significant bump compared to a similar grant opportunity we had back in 2014. This invested interest from communities suggests to me that preparing for increasing coastal hazards is now a recognized priority for New Hampshire’s coastal region. The projects will conclude in June 2018. Funds are provided by the National Oceanic and Atmospheric Administration’s Office for Coastal Management under the Coastal Zone Management Act in conjunction with the NHDES Coastal Program. For more information about the Design Solutions for Coastal Resilience projects, please contact: Kirsten Howard of the NHDES Coastal Program at (603) 559-0020 or kirsten.howard@des.nh.gov.